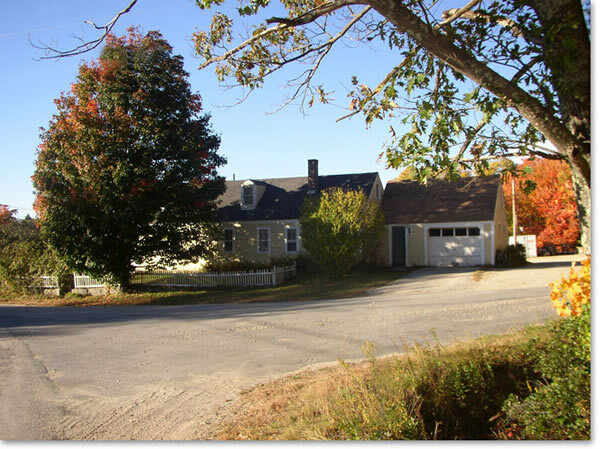 AMANDA FRYE: THE WAR HAS BEGUN is a story about your New Hampshire patriot ancestor Isaac Frye who fought in the American Revolution from the beginning to the end. Why did you decide to tell his story? where he researched some of Isaac Frye's story. CHARLES FRYE: Once I learned Isaac's story, I felt an obligation to tell it. The documents I found over years of research were scattered and I thought it unlikely that anyone else would come along and find them all. Then there was the story. It was far more remarkable than the tip of the proverbial iceberg my family's oral history had preserved. 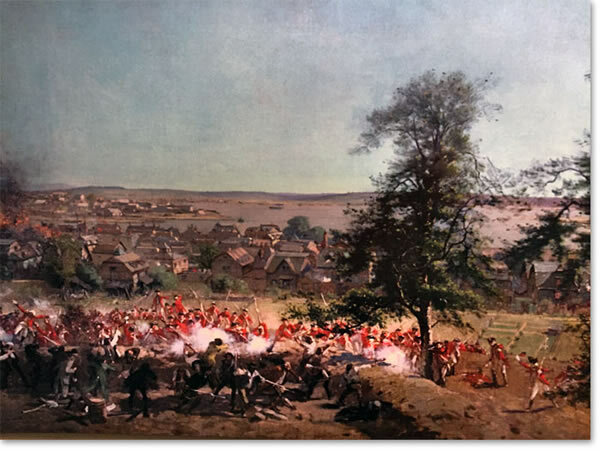 They passed down that he had fought at the Battle of Breed's Hill, and when he left in response to the alarm given by Paul Revere and William Dawes, he was quoted, "The war has begun, I must be going." My obligation was cemented after I met my distant cousin, Scott Mason, who had preceded me in researching Isaac Frye's genealogy. 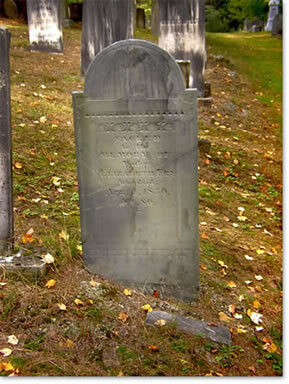 We met in person to attempt to locate Isaac's gravesite. I think we came close, and as we were parting company he handed me a couple of sheets of paper. 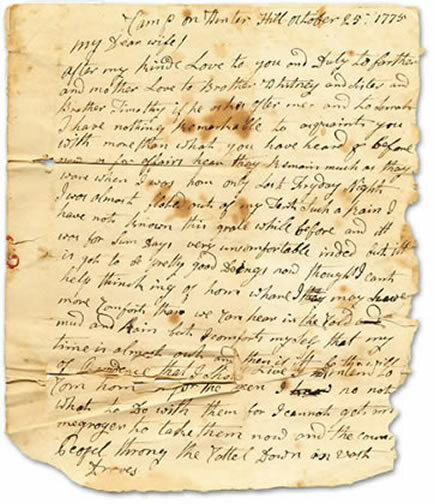 They were color copies of two letters between Isaac and his wife in 1775 and 1776. By the time I had transcribed the letters, I was beginning to get to know them, and that built into the confidence that I could tell their story. It really is their story, not just Isaac's. I've come to know Elizabeth to be every bit her husband's equal. AF: Why did you choose to tell the story of your patriot ancestor as historical fiction instead of a traditional biography? CF: There were two reasons. First is that I enjoy reading fiction and have read for enjoyment for many years. Once I started researching Isaac Frye, I read a great deal of the history that intersected Isaac's path through the war. However, a friend, who happened to be a historian, recommended I read THE FRONTIERSMAN by Allan W. Eckert. It was history, but written with the clear intent of not just plausibility, but a depth of research that brought the story to life. Eckert supplied eighteenth century dialog and richly portrayed the lives and adventures of Simon Kenton, and Tecumseh. It was like books I enjoy reading. I learned more history from that book, because it was interesting. Plus, I had no difficulty separating fact from fiction—there were fictional details no one could have known, but they were woven to make the history and the story feel authentic and engaging. Second, once I had uncovered a good deal of the depth to Isaac Frye's story, I realized his story was relevant to a modern audience, and I wanted as many people as possible to be able to enjoy it. Thus, while inspired by Eckert's example, I opted to lightly flavor the dialog and descriptions with late eighteenth century terms. AF: The annotations are extensive and demonstrate a great deal of research. Tell me about the research process you went through to write this book. What stories had been passed through your family. How did you start the research? CF: The underlying concept for the research is a tried and true method: build a timeline. Because I also am a cartographer, I decided it would be better to make a geographic timeline. I used geographic information systems (GIS) to record the data for the timeline. I started with Isaac responding to the alarm given by Revere and Dawes. I quickly realized drawing this timeline on a modern map did not work, the context was wrong. So I spent about two years assembling a base map of the parts of colonial America that the New Hampshire regiments, and plausibly Isaac Frye were documented to have gone. Once I had that map, it took me about five years of research plot Isaac's path on the map. During this time, the Internet became a seriously powerful research tool. Google books, in particular made thousands of books text searchable, allowing me to search for Isaac, his chain of command, and his fellow soldiers. 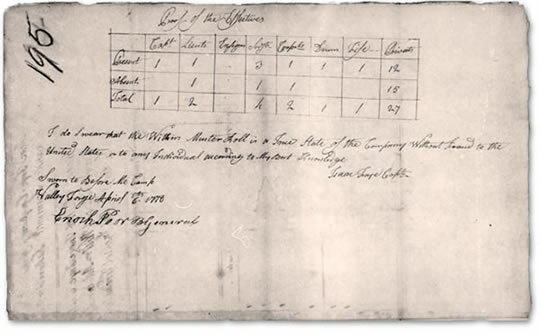 The tipping point was when the National Archives contacted a website, then called footnote.com (now fold3.com) to scan and make available their holdings from the American Revolution. 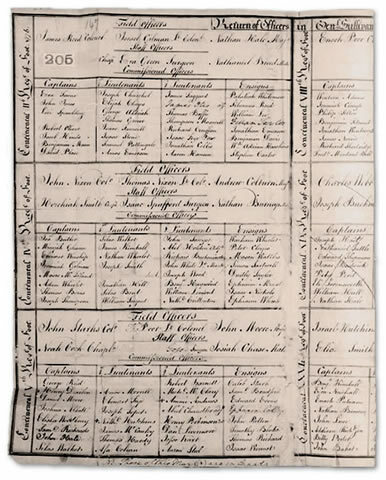 That site included the ability to browse records, and search not just the military records, but also pension applications, which often were accompanied by affidavits of service where some of the men who served under Isaac told of doing so. AF: What process did you use to write your book? CF: I had a difficult time getting started, and as of a few years ago had given up. I did not know much about writing a narrative or storytelling. I would not have learned if my wife had not gone to the L.A. Times Festival of Books two years ago, where she found Written By Veterans, a free program for veterans and their family members hosted by California State University at San Bernardino. The program offered a screenplay writing class. The program's founder, Andreas Kossak, convinced me it would be easier to adapt a screenplay to a novel than the other way around. Within half an hour he showed me a straightforward method for writing. He also mentioned that his wife had successfully done this for one of her ancestors during the same historical period. I had nothing to lose, and got started. I try to write a little nearly every day. With a job and family, it was not possible to write every day. However, four or five days a week I wrote for one or two hours with goal of 500 words each day. At the first opportunity, I took Andreas's screenplay writing course, which he also offers free to veterans and their family members. That got me going. In the first six months, I learned I had enough material for not one, but four novels, and I wrote the screenplay for THE WAR HAS BEGUN. Over the next year I wrote three drafts of THE WAR HAS BEGUN before hiring an editor to help with a fourth and fifth (final) draft. AF: You enlisted in the army at the age of 17. 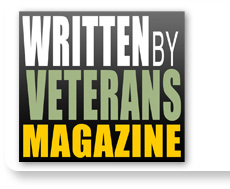 How did your service in the U.S. Army influence this book? CF: There are aspects of the U.S. Army that were established as traditions, or maybe it's better to say, "The Army way", from the beginning. George Washingtonworked first as a member of a committee of members of the Second Continental Congress to draft the rules of the Army, and once he took command, he continued defining rules and a code of conduct, much of which still exists today. I do not think one can fake or vicariously acquire a military perspective. Walking a mile, or in my case marching several hundred miles in those boots means it is second nature for me to think with a military perspective. View from the north of the Battle of Breeds Hill showing Charlestown Ablaze. British burned it to drive out the body of troops Isaac Frye was with. I get asked by family members and friends about movies that depict the military—they want to know whether the movie was an authentic portrayal of what it is like to be in the military. The military recruits with the promise of action and adventure. When I was in the Army, we had a parody for that inducement: 'Join the Army, travel to faraway places, meet new people, and kill them.' That underscores the large difference between military and civilian, and non-military people are understandably curious, though most are not enough so that they volunteer. AF: You are a professional geographer and cartographer. The book includes maps produced by modern Geographic Information Systems (GIS). You also produced a map depicting the Battle of Breed's Hill, the printed version is archived at the Library of Congress. Can you briefly explain GIS and it's use in conveying historical concepts in a modern way. How did maps help your piece together Isaac's story? CF: Earlier I told of needing a map to contextualize the geographic timeline I made when I researched Isaac Frye. That timeline was richer than just points with dates on a map. There was also a database behind those points, where an array of relevant information was stored, including Isaac's chain of command, notes for what he was doing and why he was at that location, how he likely traveled, and an expression of my confidence or certainty in the knowledge I had for the location and activities that it documented. The date was not just a single date; it was a duration with a start and an end date. After entering all the at information, I creating lines to represent the routes Isaac took to get from point to point, with a similar set of supporting information. I forced myself to completely and rigorously collect and enter all that information. That produced a database I could segment or summarize any aspect of Isaac's journey. For instance, I could tell how far Isaac marched, rode, or took a boat during a given year or for the entire war. It also produced a basis to fact-check all the narratives that went into the database—I occasionally found historians sometimes introduced transcription errors that disagreed with the original documents. I first learned the value of that rigor from the map you mention as being in the Library of Congress. That map was of the Battle of Breed's Hill, and was in many ways how all this got started. My wife suggested I help my oldest son with his 5th grade history project and that we could research to find out where Isaac was on the battlefield. Reading about the battle proved bewildering and disorienting. Therefore, my natural inclination was to make a map along with a timeline to organize that information. 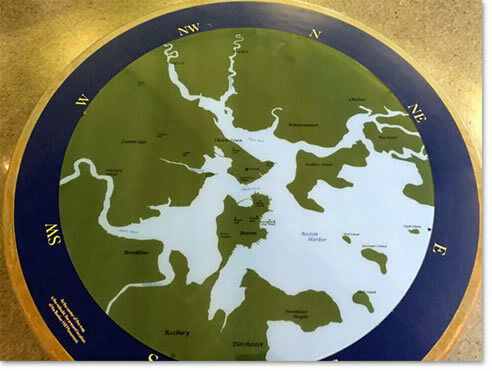 We started by mapping the Boston vicinity, including what was then known as the Charlestown Peninsula. 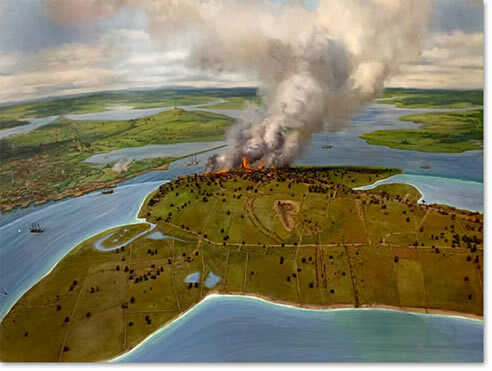 Based on that and the major landmarks of the peninsula, we could then see the form of the battle and the sequence of events. My son hand-drew a one-page color map of the battle and wrote a short essay describing where Isaac most likely was located. We had narrowed it down to two possible locations. It took years before I finally located the documentation indicating which of the two was correct. I ended up making my own map using GIS and because I learned the Library of Congress's map division had copies of most of the maps depicting the battle, and already had a map-scanning program. GIS allows for scanned maps to be positioned relative to modern geographic data, which then could be used to create a historical map in the GIS. I knew a cartographer working at the Library of Congress, so I contacted her, and their staff bumped up the remaining maps of the battle so I could have faster access. My map looked good to me, and it was rich with information. I shared it with the map division staff, and they liked it and cataloged a copy. However, the "Aha!" 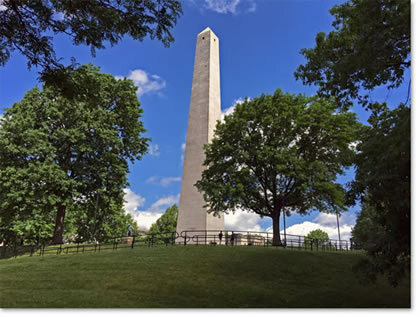 moment occurred for me two years later when I first visited the Bunker Hill Monument. 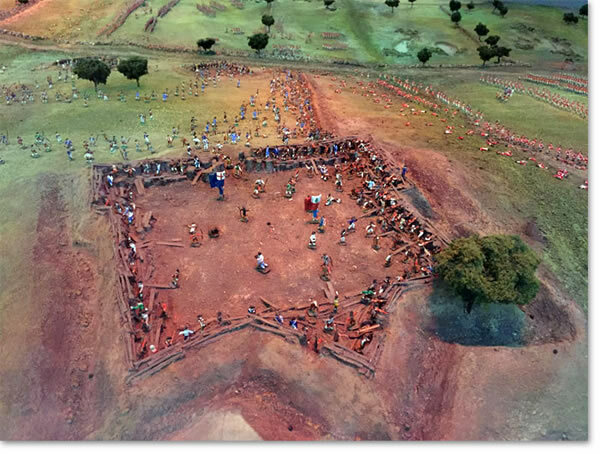 There is a diorama there depicting the battle. Other than placement of the cannon, my map completely agreed with the diorama! 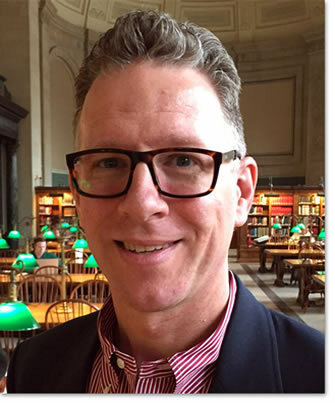 How does a non-historian do that part-time in only a matter of months? With GIS of course. Mapping information in GIS forces rigor, which among other things affords efficiency because non-conforming information cannot be forced into database like it can be forced into a paragraph. I later published a data model and method for historians to use GIS in their work. I am happy to say many historians have since adopted, adapted, and expanded on that work. The British burned it to drive out the body of troops Isaac Frye was with. 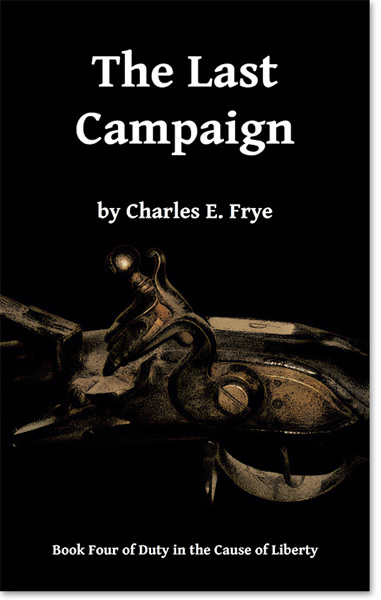 AF: Revolutionary War patriot Isaac Frye comes alive through a lively dialogue. Discuss how you developed these conversations. Where did you get your dialogue ideas? Are the characters involved in the dialogue based on history or are they fictional creations? How did your military service shape, help or inspire the dialogue? What research did you do to determine context? CF: First, no fictional characters were used in THE WAR HAS BEGUN. I researched every person portrayed to learn everything from their age to their appearance and ideally something of their manner or habits. Unfortunately, only about ten percent had such rich information available. I had to make the rest up. There are several character profiling charts available online that allow authors of screenplays to define personalities and character traits, and at my job I have had to learn to manage people, and had training on Myers Briggs personality types and temperaments. So a built a spreadsheet of the traits I wanted to use to differentiate the characters. Having been in the military, meant I learned about, and gained a military bearing. It is what differentiates soldiers from civilians, and there is a refined version that separates officers from enlisted soldiers. I read thousands of period documents. Many of these are in collections such as George Washington's papers at the Library of Congress. Nearly every Revolutionary War general had such a collection. I also read the journals of many other officers. I got to where I could read hand scribbled eighteenth century writing, ligatures and all, almost as fast as modern type. To do that meant I had to develop an understanding of the patterns often used in the writing of that time. Producing dialog necessarily means imagining a plausible conversation given the circumstances or interaction between two or more people. In the military, rank dictates a protocol, with the highest-ranking officer being in control of discussions, and out of respect for that officer, discussions go in an orderly fashion. I had to research cultural norms, even something as elementary as George Washington's book, Rules of Civility and Decent Behavior in Company and Conversation had great value. 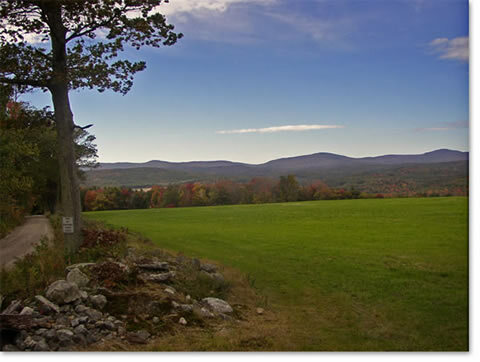 The conversations between Isaac and his wife, Elizabeth, and between Elizabeth and her circle of friends in Wilton were the most difficult because I had to force myself into a state of awareness that captured the needs of all people in the conversation, and how well the others noticed or heeded those needs. When it came time to find and editor, I knew I need to have a woman fill that role in order to vet those conversations—I haven't walked a mile in those shoes. AF: Discuss the role books have played in your life over the years. What authors have influenced you the most? How and why? CF: For most of my childhood I read more than anyone I knew. In 6th grade I discovered J.R.R. Tolkien, and by the time I was in the Army and college had read hundreds of fantasy genre books, and particularly enjoyed series by Terry Brooks, Raymond Feist, Ed Greenwood, Stephen R. Donaldson, and many others. Maybe a dozen years ago I found a blending of fantasy and historical fiction in a series by Alice Borchardt. That began a shift towards historical fiction, and Bernard Cornwell's, Kenneth Roberts' and Allan R. Eckert's (mentioned earlier) books have all been influential for me. I particularly valued that they demonstrated authentically and accurately portraying history in works of fiction. I still read dozens of books each year. I am on GoodReads if you'd like to see what I'm reading lately. AF: The Sons of the American Revolution (SAR) has the mission of being patriotic and educational when it comes to the history of the American Revolution. As a member, you are active as a reenactor in a revolutionary war color guard unit, participating in encampments at Fourth of July celebrations and other events to keep the history of this country's founding alive. 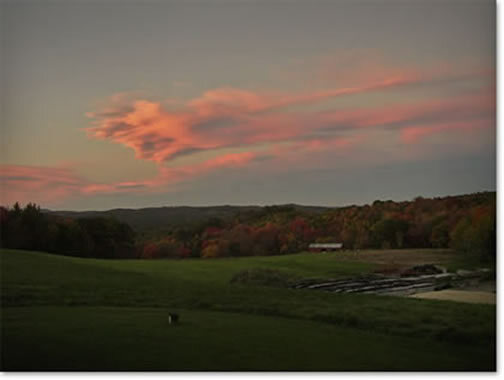 How has this experience impacted your understanding of this country's past? Why do you believe this is important? CF: There are many sayings and adages about why it is important to learn history. They are all true. Putting on a replica of a Continental Army uniform, after having worn a modern U.S. Army uniform had a remarkably familiar feeling. It does not matter what era the uniform or the soldier are from, the feeling is the same. That said, the finer points of being an eighteenth century soldier had to be learned—there are no zippers on Continental Army uniforms and one cannot lock and load a firelock (the proper term for musket) nearly as quickly and easily as an M-16. Learning the revolutionary war manual of arms (commands given to soldiers in formation and battle) was enlightening too. The modern manual of arms is essentially a more efficient version of the eighteenth century manual. Learning and teaching others about the uniform and firelock gave me a level of comfort needed to write with confidence about characters wearing and carrying those historical accoutrements. AF: What do you want the readers to gain from this book? CF: That duty to country is not an option or to be taken for granted. That country is not just land within some boundaries, but instead, it is set of ideals worth defending and a set of rights worth exercising. The Fourth of July is the one day most remember some of that. 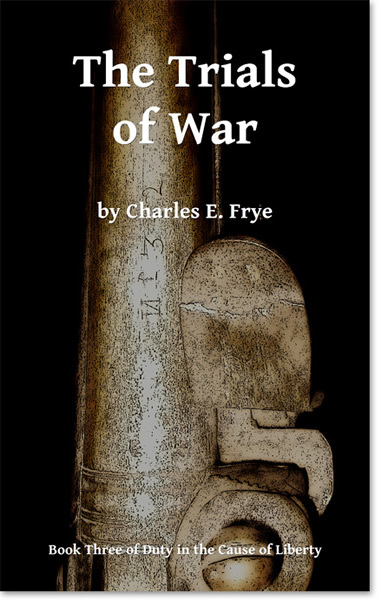 I hope spending a few days reading THE WAR HAS BEGUN, might spread grow that into days and weeks, and the specific knowledge of what people like Isaac Frye and his wife Elizabeth did, and why they did it is remembered rather than nearly forgotten. 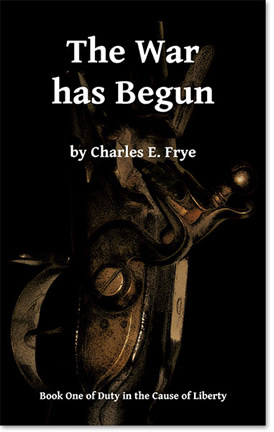 AF: THE WAR HAS BEGUN is the first book in a series. Can you provide a sneak peak at future books? 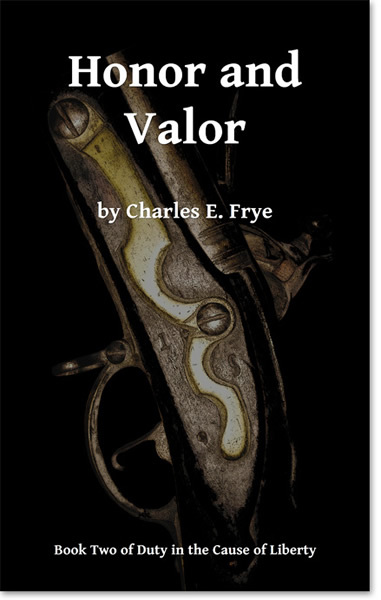 CF: I am currently writing the second book, Honor and Valor, which will cover the Saratoga Campaign, and Valley Forge. It turned out that the cast of people Isaac served with changed extensively every two years, or so—making for convenient breaks between books. The third book will cover Sullivan's Expedition and the time of Benedict Arnold's defection. The fourth book will cover the Yorktown campaign. 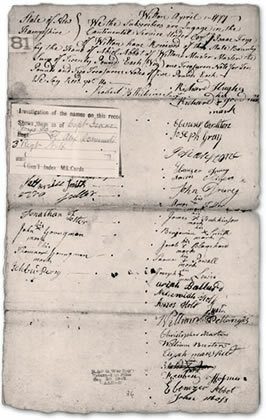 Isaac Frye was one of only a few men to be on hand for Burgoyne's and Cornwallis's surrenders. I was flummoxed that my family did not pass that fact down through the generations. AF: Is there anything else you would like to share? CF: Until I published this book, I had no idea what it would mean to become self-published author. That has been an interesting journey, and the one item that I would ask is that if you read THE WAR HAS BEGUN, please review it. In the book business, reviews beget new readers. Even an ultra-simple, "I liked it." is a big help and I would appreciate it greatly as I strongly feel that a broad audience should have the opportunity to appreciate the role middle class Americans had in the founding of our country.